Condition: Good, some foxing and marginal tears. Minor defects from handling. Please study image carefully. Overall size: 80 x 59 cm. Image size: 72 x 50 cm. Description: Antique print titled 'View of the City of Ten-Tchoo-Foo from the Anchorage of the Hindostan in the Strait of Mi-a-Tau Bearing South-West'. Together on a sheet with 'Cape Maccartney and Cape Gower'. 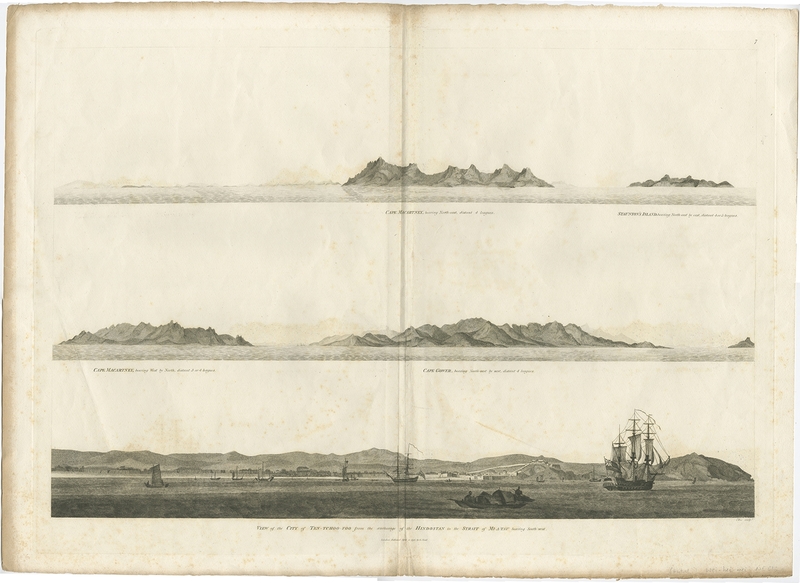 The top two views depict coastal profile views of local islands named after important people in the Embassy, including Macartney, Staunton, and Gower. Below, a view of the city of Ten-Tchoo-Foo taken from aboard the Hindostan, one of the ships on the mission. 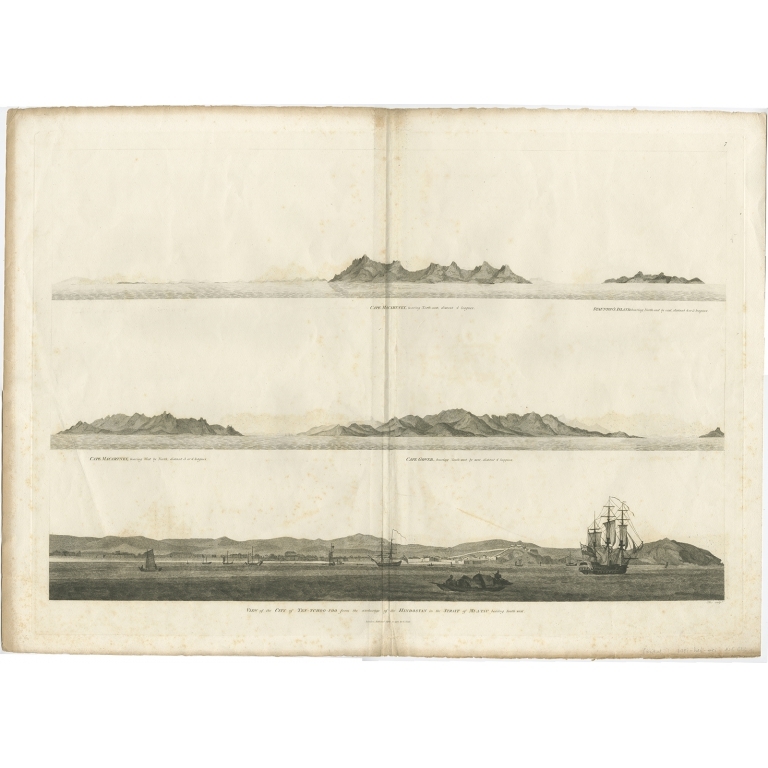 These land approach views appeared in the account of George Macartney's travels to China, published by George Nicol. Macartney was Britain's first envoy to China, and was tasked with convincing Emperor Qianlong to ease restrictions on trade between Great Britain and China by allowing the British to have a permanent embassy in the country. Sir George Staunton prepared the official report, 'An Authentic Account of an Embassy from the King of Great Britain to the Emperor of China', which included charts and views based on manuscript sketches and drawings by Sir John Barrow, the personal secretary of Macartney, as well as the artists William Alexander and Thomas Hickey. Artists and Engravers: Engraved by Ellis.